New flavors!! Now in Grape, Fruit Punch, and Orange Soda. 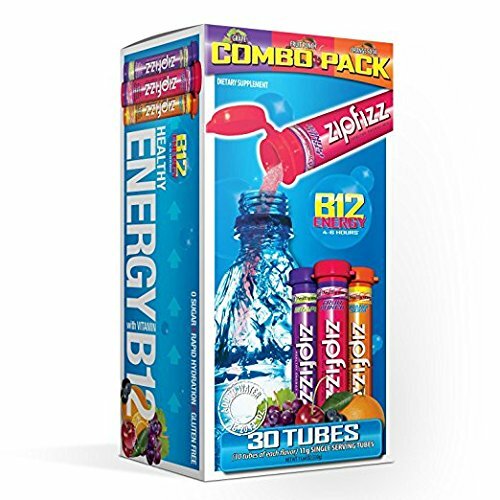 11 gram tubes, 120 count. Contains Antioxidants: Vitamin C 833%, Vitamin E 33%, Alpha Lipoic Acid, Grape Seed Extract, Green Tea Extract. Contains Electolytes: Sodium 60mg, Magnesium 100mg, Potassium 905mg. Only 10 calories and zero sugar with 46 hours of energy. If you have any questions about this product by Zipfizz, contact us by completing and submitting the form below. If you are looking for a specif part number, please include it with your message.